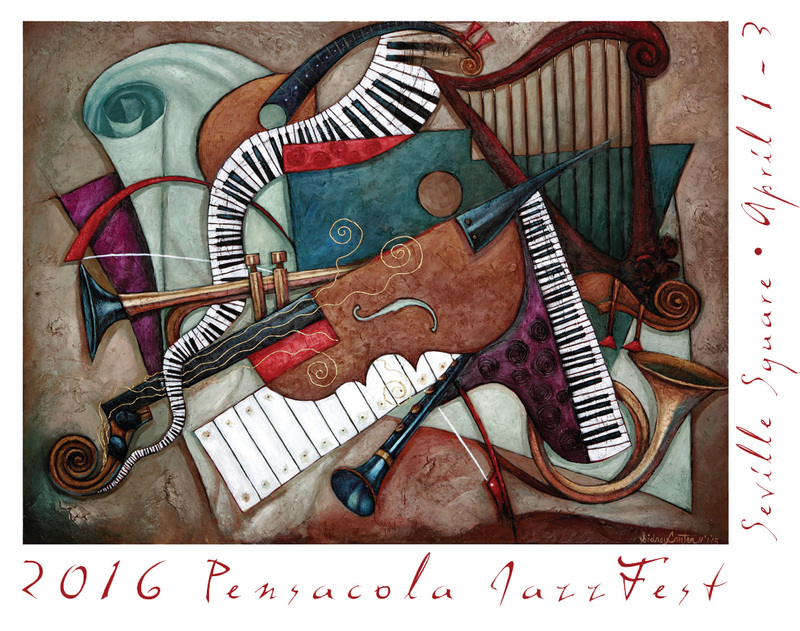 March 7, 2016 – Pensacola, Fla. – More than 20 acts are scheduled to perform at this year’s 33rd Annual Pensacola JazzFest. The festival is a three-day musical celebration in Seville Square hosted by Jazz Pensacola – formerly recognized as the Jazz Society of Pensacola. The festivities begin with a performance from the finalists of the Student Jazz Competition at 7 p.m. on Friday, April 1, and run through 7:45 p.m. on Sunday, April 3. This FREE event serves as Jazz Pensacola’s annual gift to the community and is made possible through loyal support from jazz fans, ACE grants and sponsorships. The festival offers a great lineup of live jazz music performances, arts and crafts exhibits, local food vendors and lots of fun for the whole family. Pensacola JazzFest continues to deliver a noteworthy roster of the best talent from around the region, and this year is no exception. With musical routines from Jacksonville native, percussionist/bandleader Terry “Doc” Handy and his group; multi-talented pianist/keyboardist Gino Rosaria and his band Groove Symphony; returning eclectic band, the Guffman Trio; and saxophonist Joe Occhipinti, who showcases big band flair, jazz enthusiasts will not be disappointed. Local favorites Roman Street and the entertaining Jones and Company are sure to make it hard for listeners to keep their seat, while the Village Brass Band will soothe festival goers with the uniqueness of New Orleans Jazz. The playground area towards the rear of the park will host children’s activities and games throughout the weekend, including a “Jazz Jam for Kids” with complimentary harmonicas and kazoos to introduce them to the joy of making music. An arts and crafts showcase will feature fine art, handmade items, clothing, jewelry and more. Savor delicious fare from a variety of quality vendors, along with adult refreshments at the beer and wine tent. Current and past JazzFest posters, merchandise and CDs by performing artists will be available for purchase. Attendees are encouraged to bring their own lawn chairs, as there will be a limited number of seating available. JazzFest is a smoke-free event. The 2016 Pensacola JazzFest promises a fun-filled weekend of lively jazz music, food, art and culture that you won’t want to miss. For more information and to see a full schedule of events and music, visit JazzPensacola.com.